* This post is in partnership with Bed Bath & Beyond, a brand I love. All opinions here are my own. One thing that I struggle with in regards to entertaining is that I really don’t know the proper etiquette on table settings. 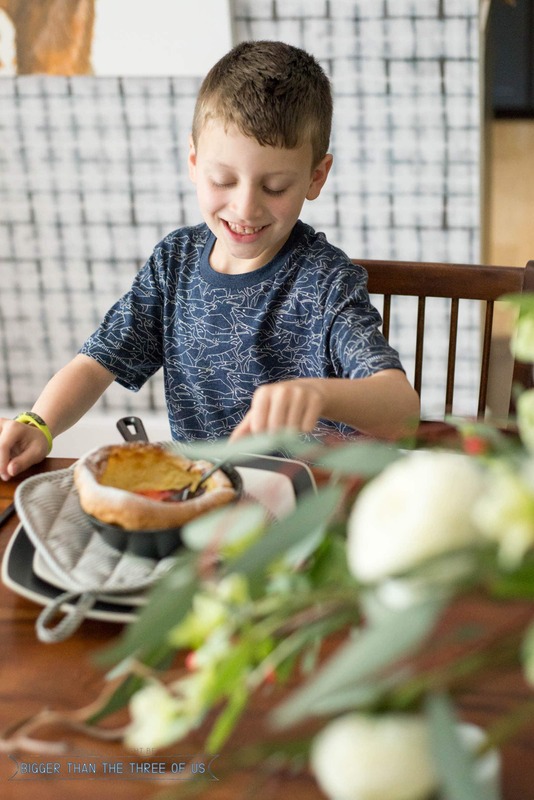 Not that each time you host, you have to have a properly set table; BUT, let’s be honest… I’m getting sick of hosting friends and family on paper plates. 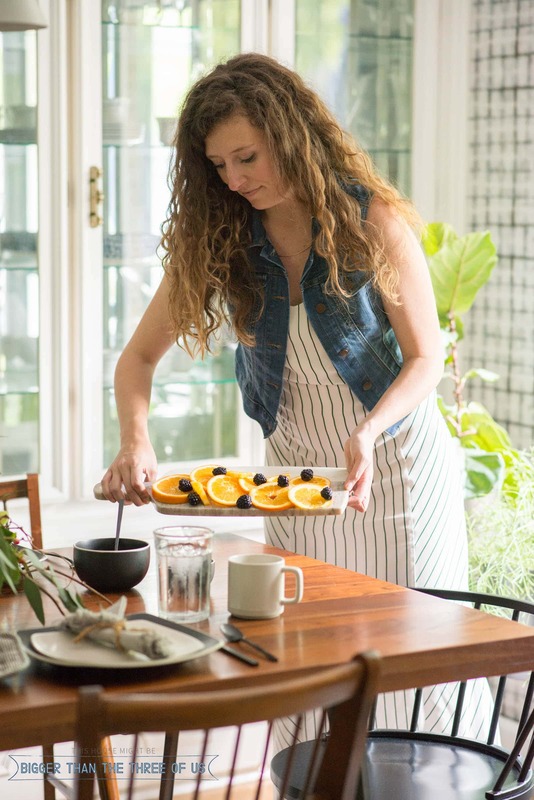 I think there’s totally an art to having a beautifully set table and I know that people that you host can feel very welcomed by the thought of you setting a table to open your home and kitchen to them. 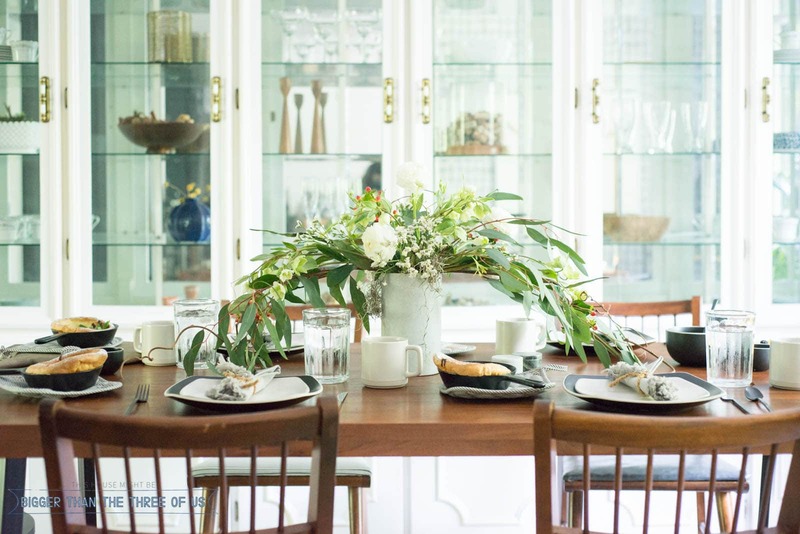 So, I finally learned How to Arrange a Brunch Table and thought I’d share it with you today. If you’ve followed me for very long, you know that I have a young kiddo. When we host, it’s generally with friends who have young kids as well. 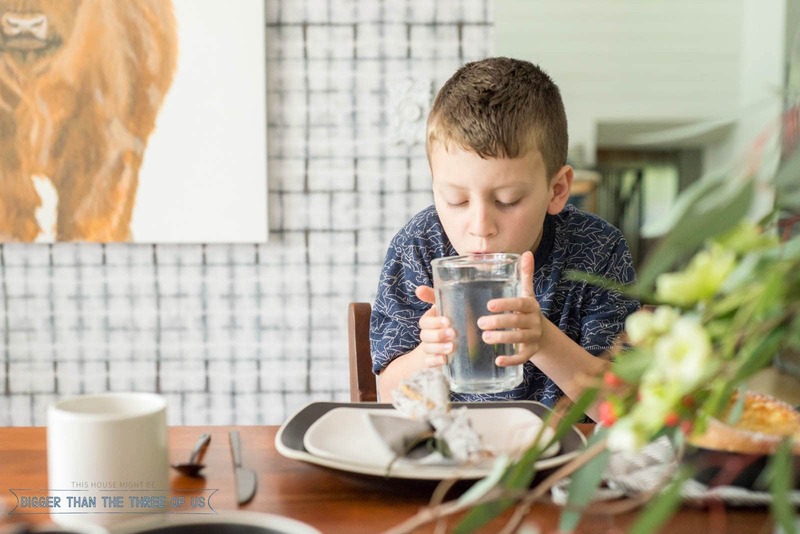 So, although sometimes, a beautiful tablescape can be done with crystal and china, I’m more interested in a beautiful tablescape that is a bit more approachable. When Bed Bath & Beyond reached out to me asking if I was interested in checking out their Artisanal Kitchen Supply line, I was definitely intrigued. After looking at it, I realized that it checked the boxes on what I was lacking in my hosting arsenal. The whole line was focused on providing timeless, versatile pieces that fit right into my design aesthetic. How gorgeous are the stacked plates and that’s easy enough for all of us to do, right?! 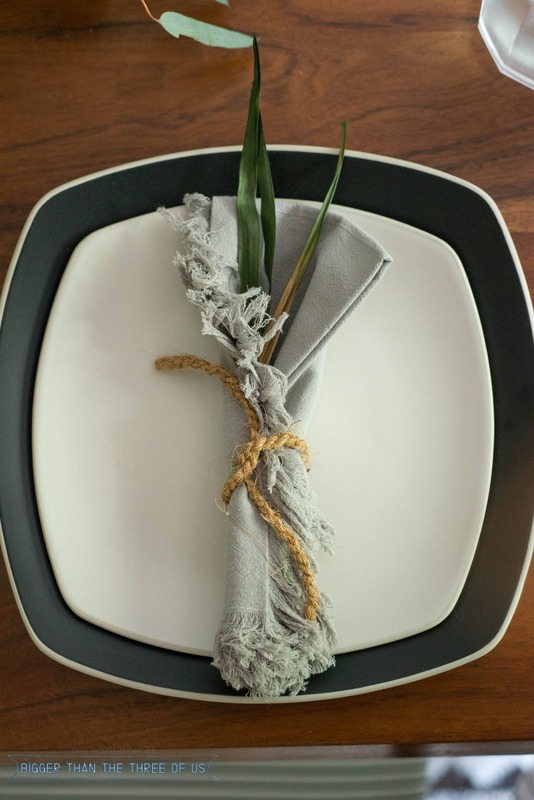 The napkin is just rolled around some greenery and tied with a piece of rope! 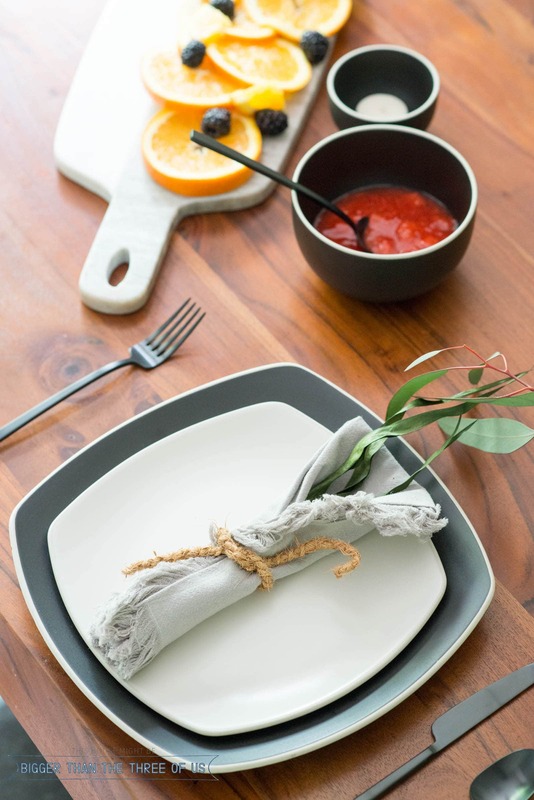 You could put the silverware inside the rolled napkin for a different look, too! I chose to go the traditional route of laying the fork on the left side of the plate and then the knife and spoon on the right. 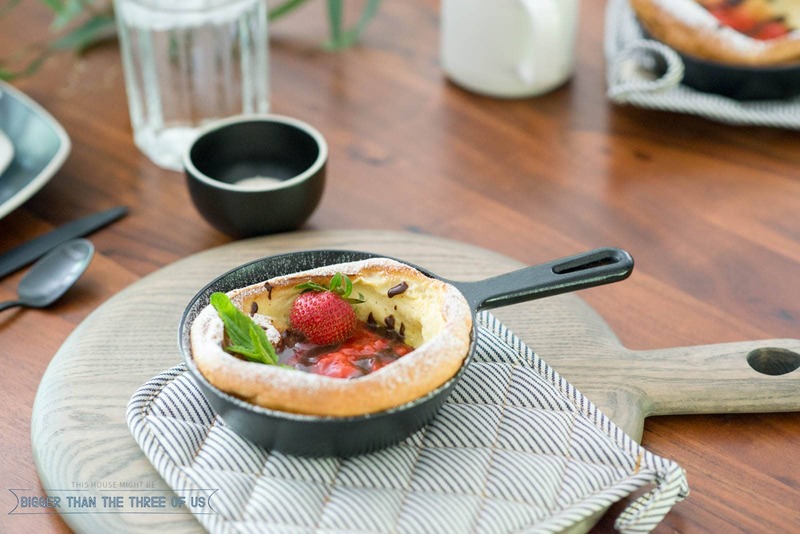 Serving individually-baked dutch babies instantly ups the cute factor and, to be honest, they taste better than they look! 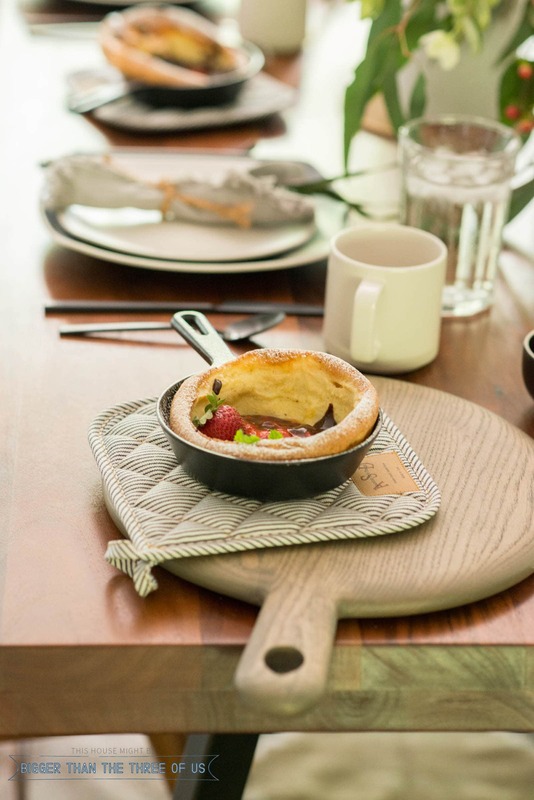 To keep that casual vibe, we served them on individual pot holders! In my opinion, less can be more appealing. So instead of piling up lots of fruit in a big bowl, consider slicing a few oranges and spreading them out on a cutting board. They are just as easy to grab and look much more appealing. One more tip that I learned while setting up this table is that fresh greenery can just make the table pop. I had so much fun with my Mom arranging this beautiful arrangement. 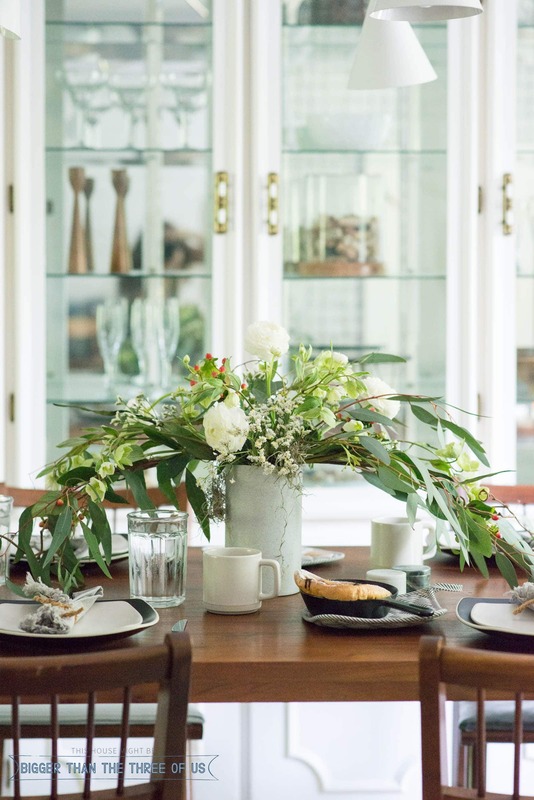 I think fresh florals and greenery just add that “extra” to the table. As I’ve already said, I want to learn to be a better host. BUT, that doesn’t mean that I want my spaces to be untouchable and I hope you feel like this is rocking that middle line of beautiful yet inviting! I wish you could have been here to enjoy this with us! 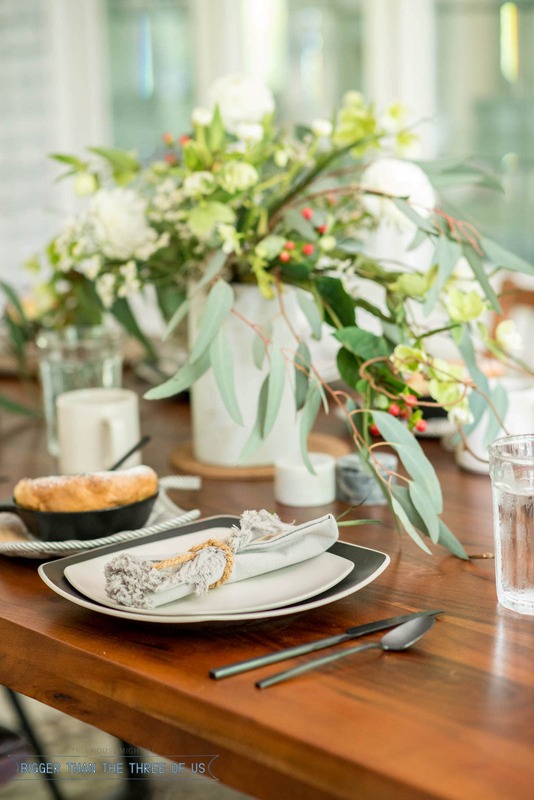 Since you couldn’t be there with us, my hope is that you learned How To Arrange a Brunch Table and feel inspired to start creating your own tablescape! 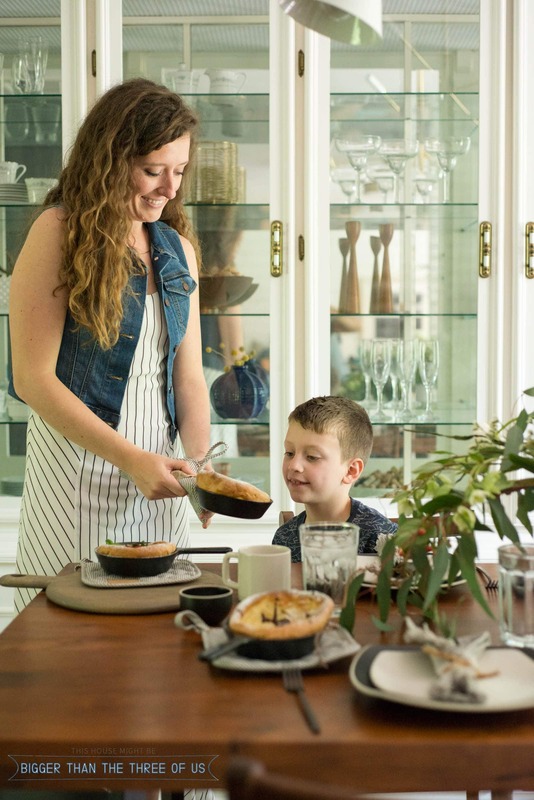 If you loved the Cooking & Entertaining products from the Artisanal Kitchen Supply, you can find them below!